blogadda fathers day Hug your Dad, your first Hero! Hug your Dad, your first Hero! It's said that the father is the greatest gift that any individual could ever get. Many would agree with me. Father is like Oxygen to the family. He is a strong pillar and the support structure who is there to guide us and assist us whenever we fall down. Even when we were young , during our crawling days, he carried us on his arms. That soothing touch of a father is beyond words. Fathers day, Mothers day are days that are allotted to honor our father and mother. Trust me if you love your Mom and Dad, why would you need a day in a year to celebrate them. Every day should be a Father's day and Mother's day to every child who can understand the sacrifices their parents made for them. The role of a father in an individuals life is important. He is like a hero who fights the thugs in the movie. Everyone wants to be like their favorite hero. It is wise to say that every Father is a child's hero. A child grows up watching him. He learns from every small behavior of his dad. Likewise we all know the importance of the Father's day. It is a day to celebrate him. Like I said above, its an understatement to say that we just have one day to celebrate Fathers day. Considering the roles and responsibilities of the father in a family, I would say it would be gibberish to just allot one day in a year and honor the father. Every day is a fathers day to me! 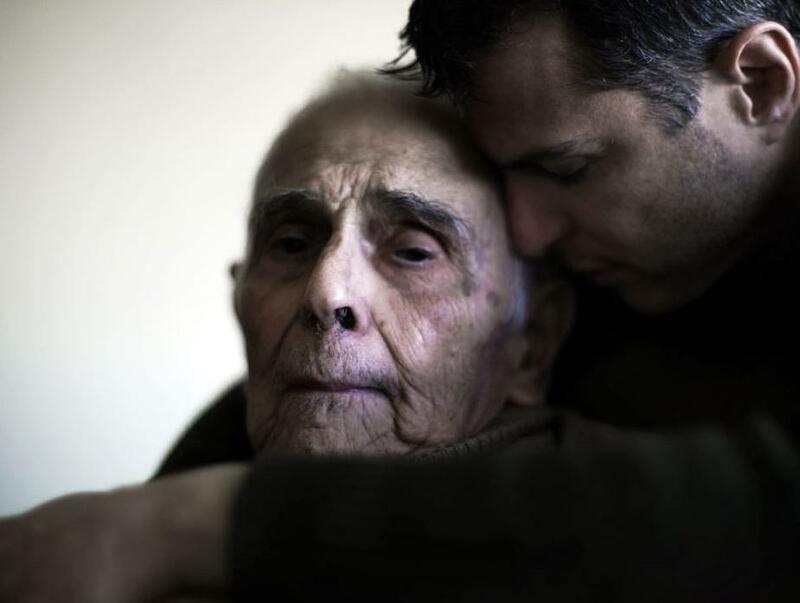 The one who loves his father doesn't needs a single day to honor him. We just need to have and hold respect for our parents in our heart. The role of my father in my life is vast and mighty just as compared to the vastness of the blue sky. It has no boundaries. 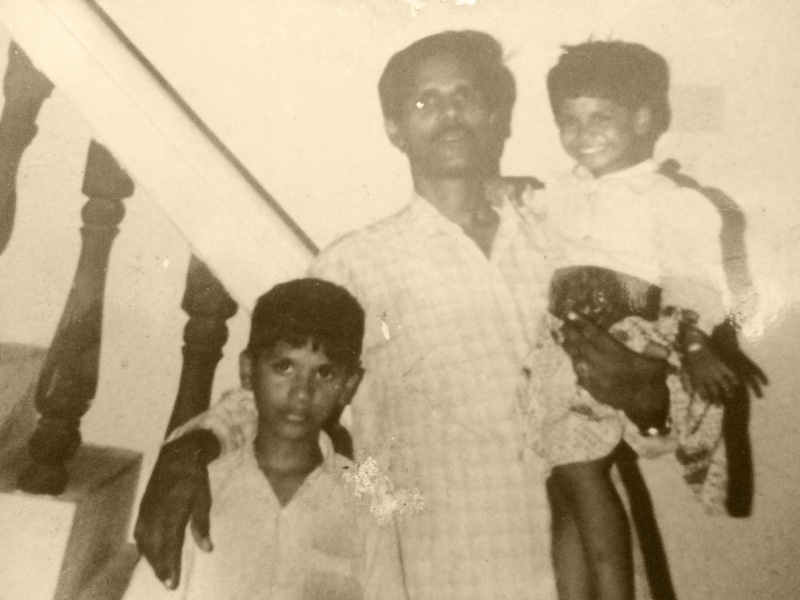 Every time my dad wished something, he wished complete happiness for me and my sibling. The weirdest fact was that he never wished anything for himself. Though my mother's role was phenomenal in looking after us when it came to our studies and stuffs, my dad supported her. Every time he got an increment or a bonus , he would bring chocolates and gifts for us. Of course, he loved us. He is strict. He doesn't belongs to the breed of dad's who would look and keep their mouth shut whenever the child raises his/her voice. He would bluntly say it directly in front of the face if he encountered anything that was wrong. He just wanted us to tread along the right path. Every parent would want that! But sometimes we give a deaf ear to our parents. He may scold us and may have even bashed us with a stick or two. It is not right to detest him on basis of his behavior. Perhaps a sagacious person would judge the right from the wrong. We are determined by our actions and behavior and not our statuses. During this life span, however rich and affluent we may grow to be, but never forget our parents sacrifices and contributions. My dad played a significant role in my growth. Timely he would imbue within us great qualities and he wanted both of us to be well disciplined. Dad is a cleanliness freak too! And me and my sister are exact opposite of him. Two poles, roads apart. We both would often team up together when it came to listening to dad's lecture. Always remember that your father would often share his life stories with you. My father always did that to us. His mother expired when he was 4 and his father when he was 8. He grew under the shadow of his elder brothers and their family. In such a circumstances, imagine what all kind of difficulties he might have gone through during that tender age. He never gets attached to anyone and it takes a great deal to befriend him. That's because of the childhood! Luckily we have him and Momma. Dad would ask us to thank god for the amazing parents that we have. He never wanted to be worshiped but he wanted us to love him. As a child, love your father and don't make all his efforts and sacrifices go small. Mere words can't explain all the sacrifices that my father has done for me. Whenever I was low and down, he sat next to me and soothe me through words and gesture. Life is not easy for everyone. Not everyone is born with a silver spoon. You got to put in efforts to climb up the success ladder. Its your father who stands at the bottom of the ladder and helps you to climb up. But whenever you reach the top of the ladder, don't forget to look down and see your father smiling at you. A man who betrays his parents is the biggest sinner in this world. Honour your parents just like you honour your God. Sometimes you don't need to gift expensive products to your dad to mark your love for him. It is a day to ensure that you make him feel more special than the other days. Sometimes a Hug or two would do! A hug has immense power that would send a positive wave between two individuals. Emotions travel through the veins just like the blood does! Never underestimate the power of a hug. Some times we boast about the big things in our life. But beyond every big achievement of yours, there stands a man who sacrificed his entire life. It is the same man who sat next to you and prepared Coffee for you whenever you stayed back late for your exam studies. He is the one who would panic every time you fell sick. After life, your father is the greatest teacher. He helps in decision making, assists your mother in the household work and in your studies. He comes home tired every night from work but still finds time to talk to you. Studies reveal that a hug speaks louder than expensive gifts. It is a way to to convey your love for someone. 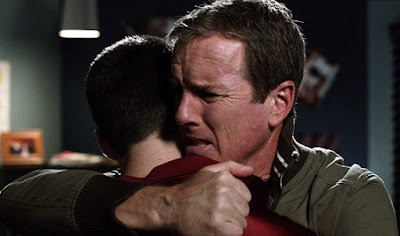 Why not convey your love for your dad with a hug? This fathers day don't buy expensive gifts for your doting daddy. Just go to him, put your arms around his shoulder and hug him tight. Tell him everything that your heart enclosed within. Let the words flow freely! Any words that comes out naturally from the heart has great powers. It has the power to mend broken bonds. Tell him how much you love him and how his presence in your life groomed you into a better individual. Trust me, your father is your best friend. For me, my father isn't my best friend. But he is a the best father for me and my sister. If I could ask anything from Almighty then it would be a good health and a long life full of happiness for my Appa. In my next life, I would vouch for the same dad for he is the best dad one could ever get. All his sacrifices are nothing in front of my achievements. Thank you Appa for everything. Expensive gifts can't convey the love that a hug can do. That's why a hug is said to have mighty powers. This fathers day let him know that he is the best. Go and hug him now. He doesn't deserves expensive gifts but show give him the costliest gift in form of your hug and make him feel happy. Treat him like a King and be a good Prince to him! Obey your father and listen to all his words. His words are only for your benefit and welfare. Don't give a deaf ear to him. Go! Rush! Tell him that you love him. Hug him now! 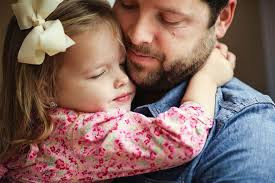 Every Father deserves a hug, the greatest gift a father could get from his children! Hey Happy Father's Day. Your post brings back memories..My Dad's mother died at the age of 2 and his father remarried, where along with his brother were ill treated. Dad loved me loads and never said No to me, while Mom was the strict lot. He was in coma when I was in Mumbai, rushed back home and was able to see him for a week, before he passed away. We were so close. Well! I shall close my eyes and think about him for few seconds. Really an amazing post.. Salute to all the father out there.